What Are The Differences Between Foreclosures In Kansas and Foreclosures In Missouri? 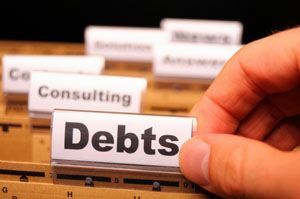 Many people contemplating a bankruptcy filing are being faced with a situation where payments on their mortgages have not been made for months. Once a person falls behind in their loan payments, a creditor (a bank or mortgage company) will eventually refer the loan for commencement of the foreclosure process. This process is different each state: Kansas has a judicial foreclosure process, and Missouri uses a system based on “deeds of trust”. In Kansas, the foreclosure process begins by the filing of a civil action in the district court in which the property is located. The homeowner will be served with a summons and a copy of the petition. There will be a time required for the filing of a response. If no response is filed, a default judgment will be taken and the next step in the process moves forward. This would be the setting of an actual foreclosure sale date on the “courthouse steps” some months down the road. How fast this happens depends on many factors, but lately it seems to be taking months from the time the default judgment is entered. Regardless, it is critical that you file your bankruptcy case before the foreclosure sale date. Failure to do so can have tragic consequences for your ability to retain the residence and try to get caught up on the arrearage over time. As soon as you fall behind on your mortgage payment, give us a call. Delaying only makes things worse. In Missouri, foreclosures are handled differently. They are not done through the court system as in Kansas. Rather, there is a trustee assigned in each county (e.g., Jackson, Cass, Platte, Buchanan, Clay, etc.) who handles the deeds of trust for the houses in question, and this trustee is responsible for taking care of the foreclosure process. Again, the principle is the same: you must get your case filed before the sale date. This does not mean that you should wait a week before the sale date to deal with the issue. The better option is to seek legal help as soon as things start to become difficult. This entry was posted in Bankruptcy Attorney Kansas City, Chapter 13 Bankruptcy in Kansas City, Chapter 7 Bankruptcy in Kansas City and tagged bankruptcy foreclosure attorney, bankruptcy foreclosure missouri kansas, bankruptcy stop home foreclosure, foreclosure bankruptcy lawyer by bankruptcyinfokc. Bookmark the permalink.